Shetzer’s photography specializes in one-of-a-kind wildlife photography workshops in some of the world’s most breathtaking locations. Our professional expertise and small-group philosophy allows us to cater to each individual’s photography goals while capturing stunning images of natures beauty and spectacular animals in their natural habitat. Please take a moment and view our full Workshop Schedule. If you have any questions on a trip, please don’t hesitate to Contact Us. 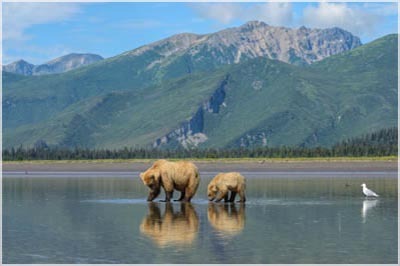 Join award-winning wildlife photographer Matt Shetzer for a trip of a lifetime on our grizzly bear photo workshops in the pristine environment of Lake Clark National Park, Alaska. 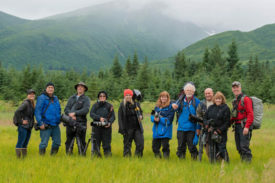 During the grizzly bear photo workshops, you will capture stunning images of grizzly bears in their natural habitat and perfect your wildlife photography skills while enjoying the picturesque setting of the Alaskan wilderness. 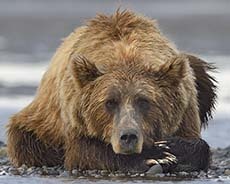 Guests on the grizzly bear photo workshops will be immersed in the region’s spectacular scenic beauty, photographing coastal brown bears while enjoying home-cooked meals and staying in an exclusive and strategically-located lodge, where bears can often be seen just outside the deck. 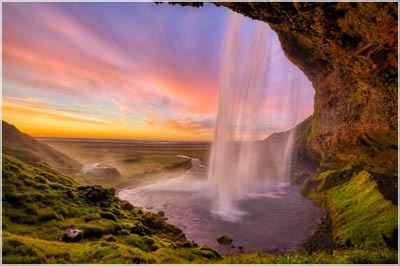 Join us in stunning Iceland, “The Land of Fire and Ice”, to photograph beautiful cascading waterfalls, black sand beaches, cool blue glacial ice, glacial lagoons, Icelandic horses and much more. During the Iceland photography workshop we will be visiting the iconic “must-see” locations as well as some of the more remote locations that offer breathtaking images of this Nordic island nation. September is a great month to be in Iceland as the sun now sets unlike in the summer months. The start of fall offers nice temperatures and perfect opportunities to photograph the stunning Aurora Borealis over interesting foreground objects. Explore the vibrant rainforests of Ecuador with us during our 7-day hummingbird photo workshops and learn specialized techniques to create stunning images of hummingbirds as they feast on native flowers. Over the course of the hummingbird photo workshops, we will journey over mountain passes and across the equator into lush rainforests to three different bird lodges. 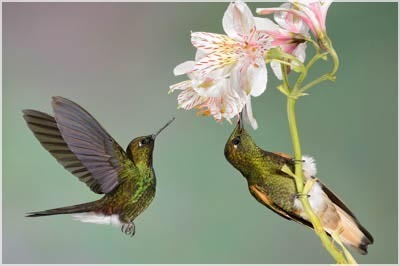 Each destination we stop at is home to unique species of hummingbirds and a diversity of flowers, giving you the opportunity to create your own exclusive portfolio of exotic hummingbird images. Explore the best the Texas Rio-Grande valley has to offer for bird photography during the South Texas Bird Photography Workshop as we visit three of the best photo ranches in the valley. 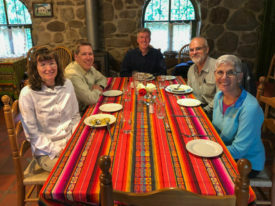 During the week, we will visit the Laguna Seca Ranch, the Santa Clara Ranch, and one of the largest historic Texas ranches settled in the 1890’s. We will explore these premier nature photography locations that have been designed for photographers by photographers. Each ranch location has multiple professional below-ground photo blinds designed to capture the beautiful morning and evening light. They also place the photographer at eye level with the wildlife and add desirable warm creamy backgrounds that bring focus to your subject. 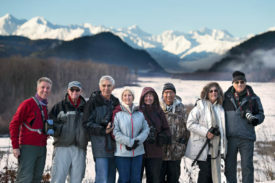 Join us in capturing the majesty of America’s national bird at the Chilkat Bald Eagle Preserve during the largest bald eagle migration in the world. 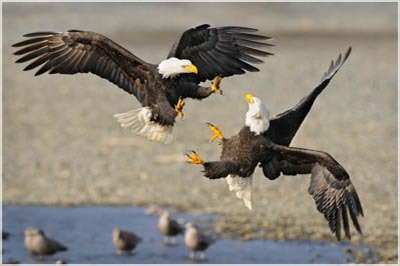 Our bald eagle photo workshops are centered on the more than 3,000 bald eagles in southeast Alaska that congregate from far and wide to feast upon salmon during the last major run of the season. 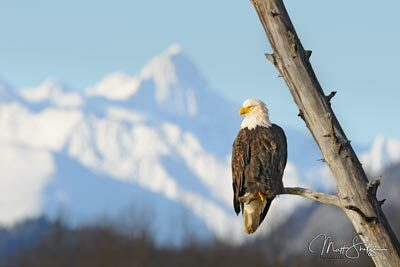 Every bit of the 48,000 acre Chilkat Preserve is inhabited by the American Bald Eagle at some point during the year. But a unique natural phenomenon attracts a breathtaking amount of birds to the picturesque landscape near Haines, Alaska in the early winter months. Join us on our 12 day photographic adventure through stunning Costa Rica as we capture beautiful images of hummingbirds, resplendent quetzals, toucans, other colorful birds, sloths, frogs, flowers and much more. During the Costa Rica photography workshop, we will share our techniques for creating hummingbird images with flash photography setups as well as natural lighting to ensure you go home with your perfect image. Learn how to freeze the hummingbirds wings and display all their feather detail. We will show you how to use 6-8 flashes per multi-flash setup controlled by radio triggers to produce an effective shutter speed of 1/10,000 of a second. 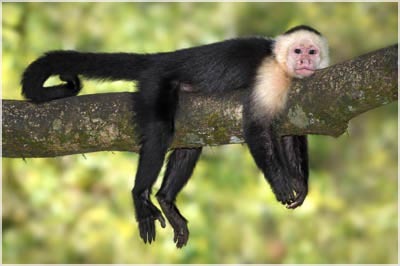 Join us on our 7-day photographic adventure through Costa Rica’s beautiful tropical lowlands. Capture beautiful images of birds, monkeys, frogs, bats, sloths, snakes as well as the vibrant green landscape. 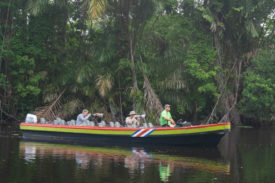 During the photo workshop, we will visit Tortuguero National Park and have custom photography boat trips to explore the fresh water canals that are full of diverse wildlife, as well as explore Northern Costa Rica’s rainforest as we focus on the wildlife that calls this area home. 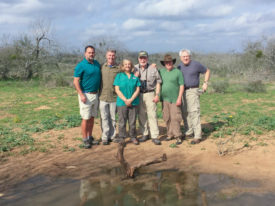 We will also visit family farms and reserves that specialize in frogs, monkeys, colorful macaws, and the other birds that live in the forest of these properties. During the Costa Rica Tropical Lowlands photography workshop, we will share our photographic techniques for creating images of nectar feeding bats at night with flash photography setups. Learn how to freeze the bats wings and capture tack sharp detail as they visit our flowers during their late night feedings. Have you ever wanted to Master Photoshop and Lightroom and bring your images up to the next level? 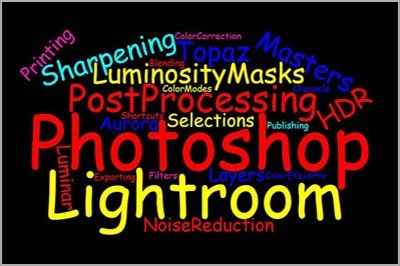 Join us for our Post Processing workshop geared for photographers, taught by photographers, where we spend the week learning post processing of images in a hands-on environment. Learn in the classroom with your own computer at a nice detailed pace, getting comfortable with the tools and techniques that enhance our images. We take you all the way through importing images, building metadata, post processing and outputting to file or print with hands-on examples. We teach how to use both Photoshop and Lightroom in tandem to get the most out of your images as you develop a custom process that works for you and achieves the style of images you wish to create. Explore the rapidly advancing world of aerial photography during our one-day Drone Photography Workshop held before or after many of our workshops around the world. Learn to fly a drone safely and considerately as you open up your photography with new compositions only available from the air. You will be amazed how easy they fly with the GPS assisted technology and modern controls. Build confidence with our hands-on flight training and learn to fly before you buy your own drone. Experience aerial photography and videography basics as you become a UAV pilot with our small group training. Drone can be very obnoixous in the wrong locations. Learn how select locations that suit drones well. Understand the best practices for flying safety and understand the regulations as you learn aerial photography. We use the industry leading DJI brand drones during the course and will discuss which model drone is right for you. We will also discuss the camera settings for still photography and video capture with the drones.